Kissing! A kiss is when one person’s lips meets another person’s lips, body or object. Kissing on the cheek or other places like the forehead can be between friends or family members as a greeting or a sign of endearment. In every culture kissing can have a different meaning. It can be respectful, loving or romantic depending on the context of the situation and the relationship between the people. Kissing can signify the health of your relationship or provide confirmation for emotional feelings. Kissing happens between all ages several times a day or week. A kiss can be sweet or sensual. International Kissing Day was July 6, 2017. The hashtag #InternationalKissingDay was trending on twitter and was tweeted by many such as Miley Cyrus who tweeted a photo of her and her boyfriend’s first kiss 8 years ago. International Kissing Day started in 2006 to celebrate loving relationships. The longest kiss on record is held by a married Thai couple who held their kiss for over 46 hours in 2011. Wow! To celebrate kissing day keep your lips puckered up and offer a sweet peck to those you love and appreciate. 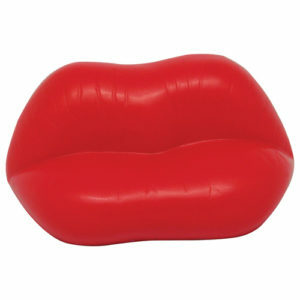 Our lips stress ball is a great way to kiss up to your clients! Use it as a reminder for many meanings of a kiss: a hello, a goodbye, a message of love, a sign of passion or a sign of respect. Reduce stress and pucker up your lips! How many people did you kiss on International Kissing Day? What tips do you have for a good kiss? This entry was posted in Client Relationships. Bookmark the permalink.